Sanyukta begins Internship work at her father Agarwal’s factory and there are 2 interns – Raghu and Kunal. Sanyukta is being supervised by Mishra – a confidante of Agarwal who just wishes to make sure that she runs away from the factory. Sanyukta does work at the factory with much commitment but still couldn’t do better than Raghu and Kunal. 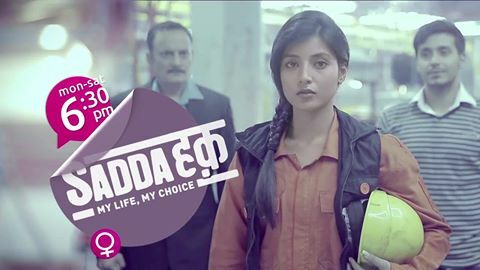 Randhir tricks Agarwal with his believe – Sanyukta will forget engineering and joins the factory as new intern. His real motive is to realize his revenge against Sanyukta since she has foiled his plans in destroying his mom Renuka’s company via machine design damage. Sanyukta had reminded Renuka that if she had taken care then Randhir would have not taken such drastic step – risking many lives. However, she also believes there is some care inside him and vows to not leave him otherwise he will be destroying himself further. It is to be noted that Randhir gave a shock to Ishika that he doesn’t value her as his GF which makes her upset. This also means his love wrapped in hatred for Sanyukta is still alive. 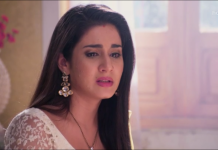 At Vidushi’s end, she has moved on from Varun and Parth has given her immense support and even doesn’t worry on her past relationship with Varun. He just want to be with her forever and shows care & concern in handling the pregnancy question matter. Vidhushi starts fresh with Parth by showering him a kiss. Meanwhile, Vardhaan sir comes to know of the new dean Kabir’s plan to privatize FITE by opening new colleges and also on how he manipulated files. There is a tussle going on between them with Kabir trying to put pressure. What does those files convey, Are they enough to shed more light on Kabir’s not so good activities ? Will Vardhaan succeed in his endeavor ?